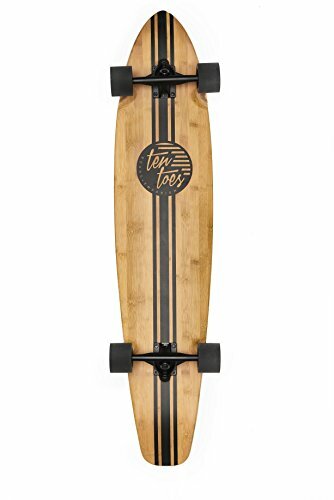 Introducing ZED: Ten Toes Board Emporium's premiere 44" classic performance longboard. Designed in-house in the heart of sunny Los Angeles, the ZED longboard is inspired by 1970s California surf culture, pedaling on the nostalgia of an era both effortlessly cool and undeniably dapper. 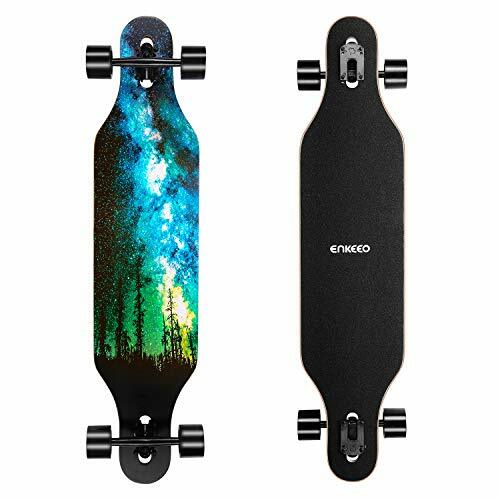 Durable 70 mm PU wheels and rugged yet lightweight aluminum trucks provide that tried-and-true longboard ride, with the added ability to pop over any hazards with ease. 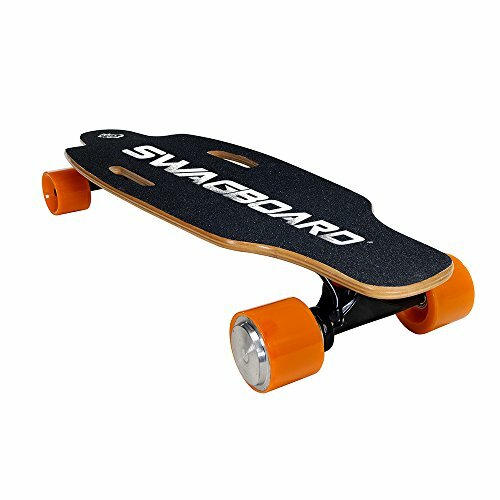 Plus, we employed the classic longboard shape so you won't get wheel bite. Equipped with authentic Americana design elements and retro appeal, ZED is an ideal board for the entry-level skater and advanced longboarded alike. The Blackout 32" Cruiser features our classic, blacked out deck with a functional nose and tail as well as concave to give the feel of your favorite cruiserboard. 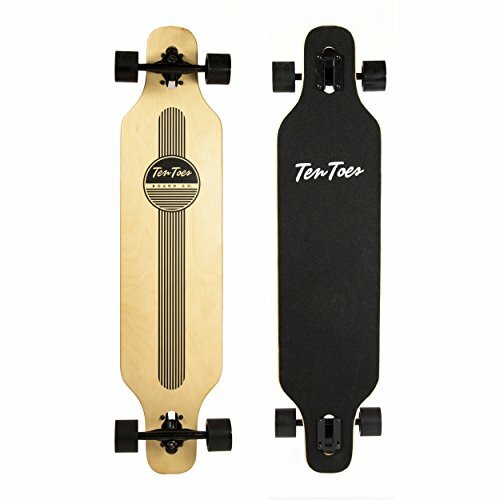 The board has wheel wells to stop wheel bites, and spray on grip for added foot security. 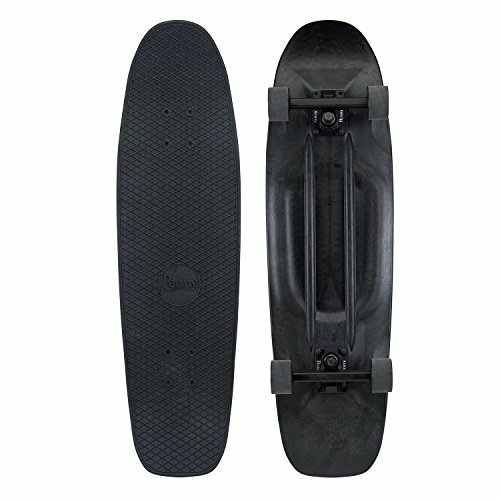 The Blackout 32" cruiser has black 54mm, 90A wheels. They are perfect for smooth cruising without sacrificing speed. The 54mm size is also versatile enough for popping up curbs, slashing grinds, or cruising the boardwalk. The black wheels are paired with super fast, black ABEC 7 bearings for speed and durability. The all new Blackout 5" aluminum Penny trucks offer stability and turnability in a lightweight package. Our trucks are designed to turn with 83A bushings, easily adjusted by tightening or loosening the kingpin. The Blackout 32" has black high tensile deck bolts. The most versatile Penny ever created is here. Crystal Blue Persuasion. What’s more timeless than a 44” Pintail? Not much. Like a t-shirt and jeans, it’s good to go whenever, wherever. 71mm wheels get you over the bumps and grip well for comfortable cruising. The RIFT 41" Drop-Through is the latest classic surf-inspired longboard from Ten Toes. A great choice for campus cruising, long-distance riding, and even down hilling, the RIFT features a low deck height for easier pushing and improved balance due to its low center of gravity. Its 70mm PU wheels guarantee a smooth ride and ultra-low rolling resistance. Made from high-quality Canadian Maple, the RIFT's 8-ply deck is an ideal blend of flex and rigidity for whatever kind of ride you are in for. And in our RIFT, we employed pre-lubricated ABEC-7 bearings for performance and durability, plus 78a cushion wheels that soak up all those street bumps and sidewalk cracks: so kick, push, and coast on. A collection of fresh new Penny Skateboards for everyone! Everything from abstract designs to camouflage. 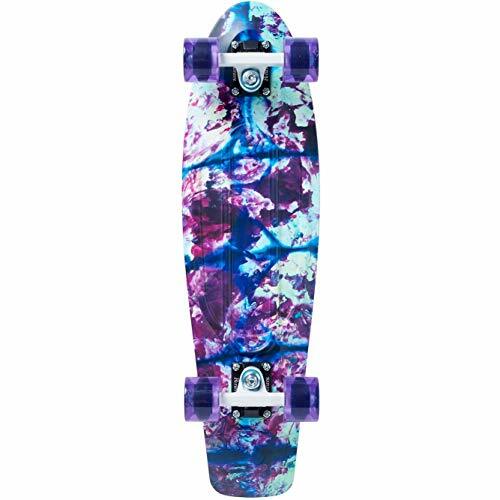 Guys and girls of all ages can find an awesome new graphic Penny in either 22" or 27" sizes. Gear up with a genuine Penny Skateboard and get your #PennyAdventures started. Brand new Penny graphic skateboards are here! Not only are they available as 22" Penny Skateboards and 27" Nickel Skateboards, but there's such a wide variety that almost everyone will find one to fit their personal style. The eclectic Graphic collection ranges from super bright colors with symmetrical patterns, to multiple redesigned tie dye boards, as well as dark boards with abstract designs. The newest series of Bigfoot is born to the need of skaters who just need bigger wheels. These wheels are especially good for drop trough and drop down shapes when you need extra clearance. 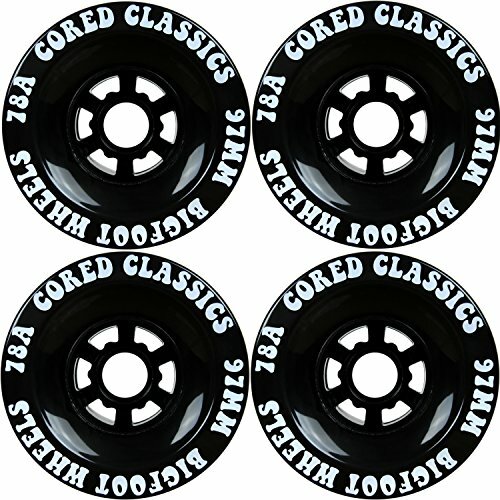 Super high rebound combined with strong spoked cores make the Bigfoot cored classics a must for big wheel riders. This listing contains a set of 4 brand new longboard wheels for your set-up. Center set bearing hub with a 78A durometer. Measures 97mm x 52mm. 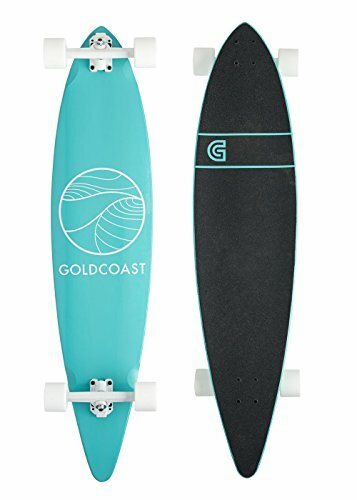 Looking for more Classic Longboard Skateboard similar ideas? Try to explore these searches: Aluminum Snack Tray, Paint Remover Gallon, and Washington Nationals Home Plate. Look at latest related video about Classic Longboard Skateboard. Shopwizion.com is the smartest way for online shopping: compare prices of leading online shops for best deals around the web. 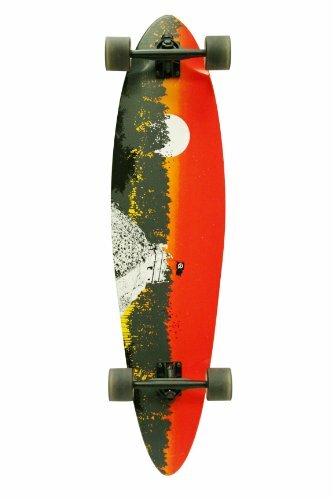 Don't miss TOP Classic Longboard Skateboard deals, updated daily.